Welcome to Village Lane Dental Centre, located in Okotoks, Alberta. Doctors Allen, Otto, Brown, George, and Marissa are a team of general dentists committed to your lasting oral health and overall wellness. Our goal is to help every one of our patients find the appropriate solution for their treatment needs. Whether you require a filling or dental implants, our aim is to offer the personal attention and evidence-based care that you deserve. Your oral health contributes to the function of your body as a whole, and we take the condition of your teeth and gums very seriously. From the beginning of your appointment to the very end, our dentists provide care designed to improve the state of your smile and your overall well-being. Our services include everything from general procedures to cosmetic and restorative dental work. After a cleaning and examination to identify and address any underlying dental issues, we can move forward with your treatment plan. Depending on your particular needs, you may undergo one or more of the above treatments in our office. Whether you're curious about the procedure best suited for you or need more information on your dental health in general, we encourage you to schedule a consultation at our office. Together, our team can review your treatment goals, discuss what you would like to change about your smile as well as the steps we can take to achieve your aesthetic wants and functional needs. 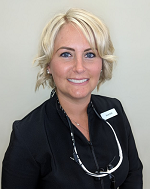 Village Lane Dental Welcomes Our New Hygienist Brook! Each member of our team has experience in different aspects of general dentistry that, together, allow us to work toward the benefit of each patient who visits our Okotoks practice, no matter the issue they are experiencing. Dr. Allen is a Fellow and Dr. George has earned mastership credentials from the International Congress of Oral Implantologists (ICOI), making it possible for us to perform dental implant placement and restoration under one roof. With a diverse range of skill sets and patient-focused care philosophies, the team at Village Lane Dental Centre offers the services most patients require and are diligent about facilitating for any additional, specialised services. We do our best to provide high-quality dental treatment to our community based on services we offer as well as our flexibility with scheduling. With late hours during the week, weekend appointments for dental emergencies, and a 24/7 emergency line, we strive to be available for you when you need us. It is our privilege to serve the Okotoks area with general dentistry for patients of all ages and at all stages of development. If you would like more information about the treatments we offer or to schedule your appointment, contact Village Lane Dental Centre today! We offer a range of services and procedures here at Village Lane Dental. Learn more about what we offer and click below to see before and after images of our own patients. Because we are committed to improving the oral healthcare knowledge of our patients, we provide educational dental videos which we hope you will find interesting and informative. We have grouped the videos into various categories to provide quick access to the topics of greatest interest to you. View photos of our office prior to scheduling your appointment.